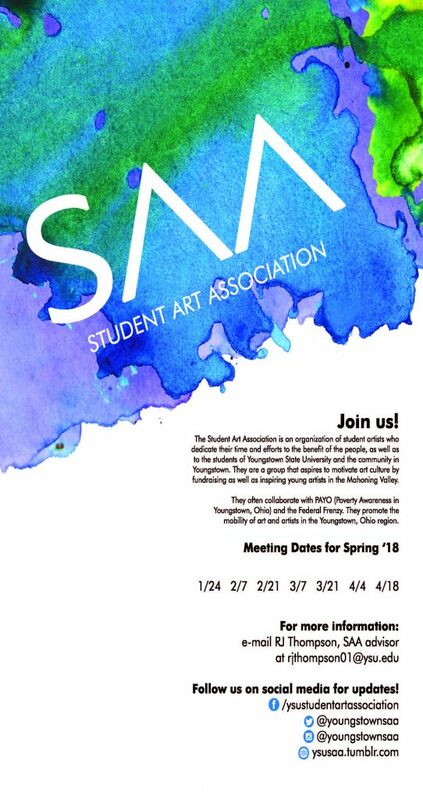 The Student Art Association is an organization of student artists who dedicate their time and efforts to the benefit of the people, as well as to the students of Youngstown State University and the community in Youngstown. 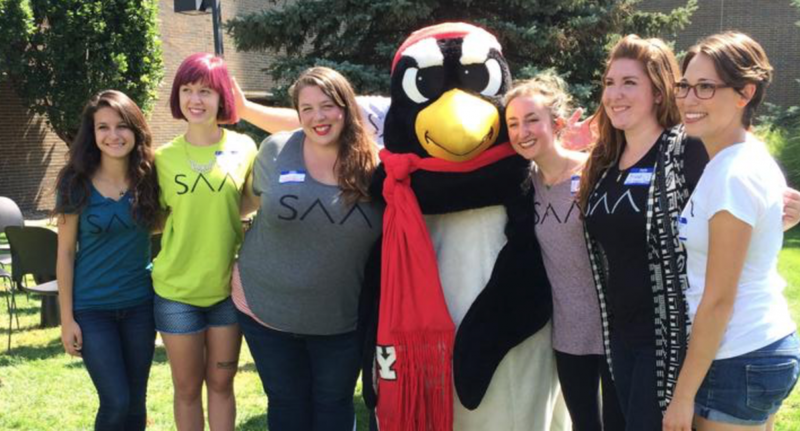 They are a group that aspires to motivate art culture by fundraising as well as inspiring young artists in the Mahoning Valley. They often collaborate with PAYO (Poverty Awareness in Youngstown, Ohio) and the Federal Frenzy. They promote the mobility of art and artists in the Youngstown, Ohio region.